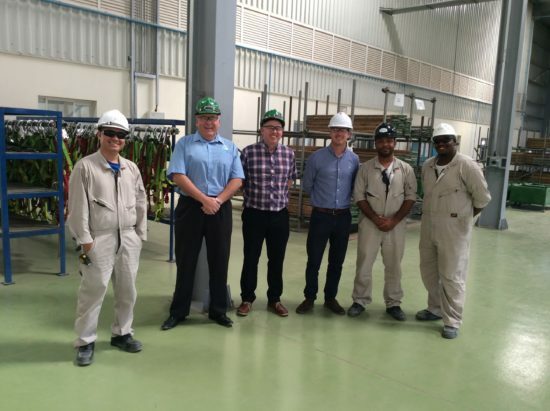 CISRS are delighted to announce the opening of a newly accredited CISRS Overseas Scaffolder Training Scheme (OSTS) facility in Oman. The new centre situated in Nizwa represents a very important strategic base for scaffolding training – providing support to the major oil related industries in Oman. The project is being driven by CISRS UK Provider Safety and Access Ltd and the established Oman-based service provider, Special Technical Services (STS) through their training arm Technical Training Institute (TTI). Following a recent CISRS accreditation visit, the new centre will be eligible to run a wide range of CISRS scaffold related training – including scaffolder operative training, scaffold inspection and scaffolding supervisor courses. TTI has a proven track record of delivering training to multidiscipline contracting companies specialising in construction, fabrication and maintenance services for the energy and industrial sectors. Their existing training facility is large and spacious and finished to a very high specification and they are working on plans to build a brand new bespoke training facility for multi discipline trades in Oman in the near future. Prior to the accreditation, a presentation was arranged with key local clients to outline present and future plans for training and support in the area. It has been a requirement with several major clients in Oman for some time that independently accredited training is adopted by contractors and this new venture provides such support. CISRS has received several enquiries from other parties within the region reflecting that awareness and recognition of CISRS OSTS continues to grow with clients and contractors alike.